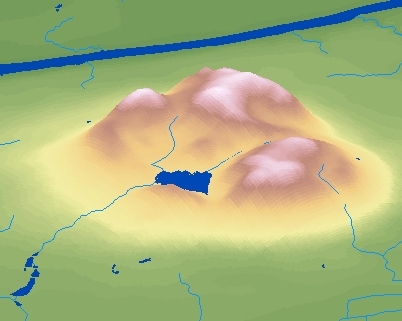 Digital Elevation Models produced by DMTI, consists of a digital representation of a portion of the earth's terrain over a two dimensional surface. Created from the interpolation of the National Topographic Database (NTDB) 1:50,000 scale digital mapping (Standards and Specifications V3.0 and later). 30 metre resolutions captured from 1:50,000 NTDB. 90 metre resolutions resampled from the 30 metre. Members of the McGill Community can obtain copies of the data by filling out the Geospatial Data Request Form. Please indicate the desired resolution 30 metres or 90 metres, and the desired NTS number(s). Example: 31H12 or 42A10. Please consult the NTS Map Indexes below to determine which DEMs you require. Citation DMTI Spatial Inc. [computer file]. Digital Elevation Model, insert scale here, insert map code here. Markham: DMTI Spatial Inc.insert year here.